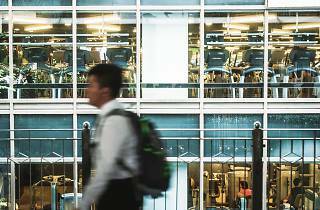 Gym'll fix it: Should fitness sales in Hong Kong be regulated? Worldwide icon-chevron-right Asia icon-chevron-right Hong Kong icon-chevron-right Gym'll fix it: Should fitness sales in Hong Kong be regulated? 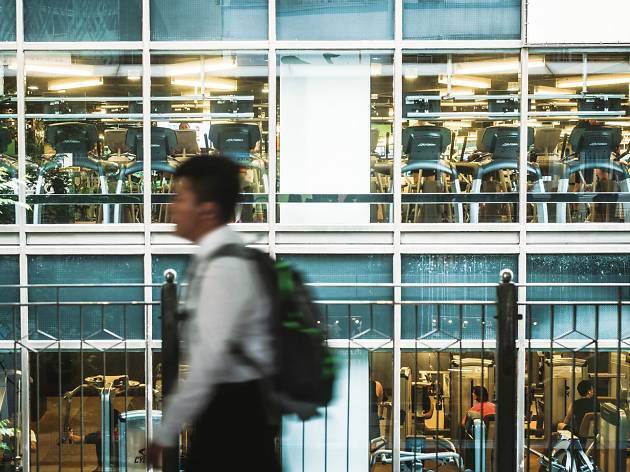 Whether it’s successful New Years resolutions or the easy appeal of our city’s many sandy beaches, Hongkongers spend a significant amount of time and money in the gym – sometimes more than they should. Frequently, in such cases, customers are led to sign expensive membership deals where they have excessive financial obligations and the gym is always contractually in the right. For years now the Consumer Council, which promotes consumer rights in Hong Kong, has warned of a rise in fitness centres that coerce, if not force, customers into spending thousands of dollars on expensive treatments or programmes, whether under the guise of fake competitions and free trials or through more forceful persuasion and outright cajoling. But recently, these dubious fitness giants have grown increasingly avaricious and reportedly begun to target the pockets of the disadvantaged. The most recent high-profile case saw an intellectually disabled kitchen worker allegedly conned into taking out loans and signing up for service contracts that cost him a total of $1 million. The money was said to be spent by a loan agency on ‘debt restructuring’ and fees to a trainer at a well-known local gym. The 25-year-old man, identified as Ah Sing, who had difficulties in answering questions at a press conference, is now under pressure to sell his live-in flat to pay off the debt. This allegation followed on the heels of a separate complaint by a father, one Mr Lam, whose 18-year-old autistic son was allegedly forced into paying for courses at a fitness club in Taikoo Shing. After shelling out $60,000 for a package, the boy was, it’s claimed, asked to stand in a corner in front of the entire class. Francis Lam, executive director and a personal trainer at small local chain High Fitness, admits that some notable gyms pressurise their staff to boost sales by locking customers into prepaid packages. “Many trainers are not trained as a salesperson, so they are really stressed out,” he begins telling us. Unlike other trainers who need to sell membership on the streets day in, day out, Lam has set up a Facebook page where he regularly uploads tutorial videos. His personal page, which showcases not only workout tips, but also his fit shape and trim appearance, has attracted almost 35,000 likes. Lam says the hard sell doesn’t work any more. “People have lost their confidence in the giant fitness centres as the scandals have been trickling out for years,” he says. “Instead, consumers are more willing to pay for membership if they see our efforts in providing a more complete and genuine service. If they appreciate your sincere service, they will no doubt pay more afterwards.” Lam looks down on those gyms that he claims take advantage of intellectually challenged customers. He sees those dishonest companies as black sheep that have tarnished the name of the entire industry. “There was once a period where I couldn’t find any new customers for a whole month,” Lam complains. Speaking to a female victim of one gym’s strong-arm tactics, we’re told: “The centre wants a good sales record as they’re going public.” Asking not to be named, the woman, who does not suffer from any mental illness or disability, says she was coerced into signing a contract by three trainers who refused to let her leave after she finished her workout trial one afternoon. Initially, she was offered a trial session since she was referred to the gym by another client, her friend. “They know we are exhausted after the exercise and we don’t want to be criticised for our figure and appearance, so they slagged [me off] and brainwashed me for almost half an hour,” she reveals. Fatigued, she says she signed a contract only to discover it could not be cancelled afterwards when she realised it was a rip-off. As well as hard sells and dubious sales tactics, Tang remarks that the most unscrupulous con trick is that some fitness centres allegedly herd their victims to finance companies to borrow money for a so-called application fee. Employees are accused of manipulating the victim into borrowing money from banks or financial institutions after they have duped them into signing contracts. “This is why a man earning only $10,000 per month like Ah Sing could cadge over $550,000 from agencies,” criticises Tang. We speak to a 30-year-old, who prefers to have his name withheld, who has suffered a mental disorder for more than 10 years. The victim says he was locked into prepaid packages in 2013. “I only discovered the deal recently through his debt bills,” his brother recounts. “And I later found out he was pressed to apply for a credit card in order to pay for the contract. He was taken to a bank for a $65,000 loan.” Last September, gym staff allegedly approached the victim again and referred him to middlemen who convinced the disabled individual to borrow $133,000 and $163,000 respectively. The money lenders, it’s claimed, later confiscated the mortgage. The case was filed a few months ago and the fitness centre has agreed to pay the victim $100,000 as settlement. Regarding allegations, the South China Morning Post reported that a spokeswoman for California Fitness, one of the fitness centres at the centre of the scandal, told reporters that employees ‘were not aware’ certain customers were mentally disabled. Another centre under fire, Fight Factory Gym, has posted on its Facebook page that it is currently looking into similar allegations and will publish its findings. The Consumer Council says if businesses disturb, threaten or pressure consumers in the process of promoting their products or services, it can constitute a violation of Hong Kong’s Trade Descriptions Ordinance, which carries a maximum penalty of five years imprisonment and a fine of $500,000. The watchdog also supports the introduction of a cooling-off period for any industry that involves prepayments. Tang, who is now assisting Ah Sing, concludes that his client’s case reflects the current lack of practical consumer protection available to people with mental disabilities, even though there are laws – The Unfair Terms in Consumers Regulations – invalidating unconscionable contracts. However, as Tang laments: “Like Ah Sing, many cannot afford to hire a barrister or don’t have sufficient knowledge in using, or threatening to use, civil court.” Until more forceful legislation comes into place, consumers should think twice before signing on the dotted line. For more information about the Consumer Council visit consumer.org.hk.